An attorney from Jacksonville said that “plans are still full steam ahead” to open a law school, but that school will not be located in Daytona Beach, according to The Daytona Times. 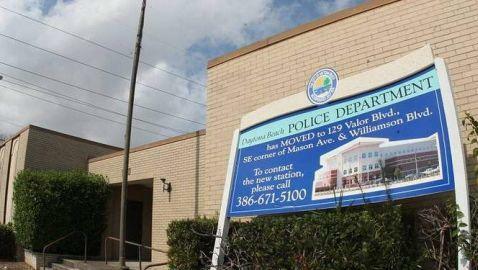 The attorney, Eric Smith, said that he was surprised to learn that the former Daytona Beach Police Department building at Orange Avenue and Nova Road was not large enough for a law school. Officials from Daytona Beach were telling Smith and his partners that the building had a total of 55,000 square feet available. When an appraisal was performed, it was discovered that there was just 38,000 square feet available for use. “We never would have gone through all that trouble. We were shocked it was 12,000-square feet smaller,” Smith said. He also said that he and his partners are still committed to the community. He said a law school will open in Volusia County, just not in Daytona Beach. Smith would not mention where the new location will be, but he did say that partners are planning for it to open later in 2013. “My understanding is that a law school has shown interest in locations in our city, however, nothing has yet been finalized,” said Jeanne Willard, public information officer for City of South Daytona. Two of Smith’s partners include Steven Nemerson and developer Jim Catlett. Nemerson would serve as the dean of the law school. Smith and his partners hope to enroll 80 students initially and then ultimately have a student body of 600. The next goal to hit would be garnering accreditation from the American Bar Association. The school will try to keeps its costs minimal by trying to convince practicing attorneys to teach courses. The city would have to grant the school a license to operate. After one year of being open, the school could apply for provisional accreditation from the ABA. Full accreditation can then be applied for in three to five years. It has been reported that the school will be named the Florida Space Coast School of Law.